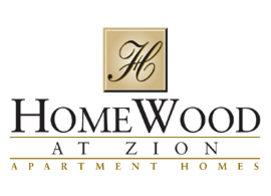 HomeWood at Zion apartment homes are located in a well established neighborhood that offers a unique combination of upscale amenities and affordability. Developed with careful attention to functional layout and design, the community supports the needs of all age groups. Come and enjoy the long list of exterior/interior finishes and friendly staff that await you.